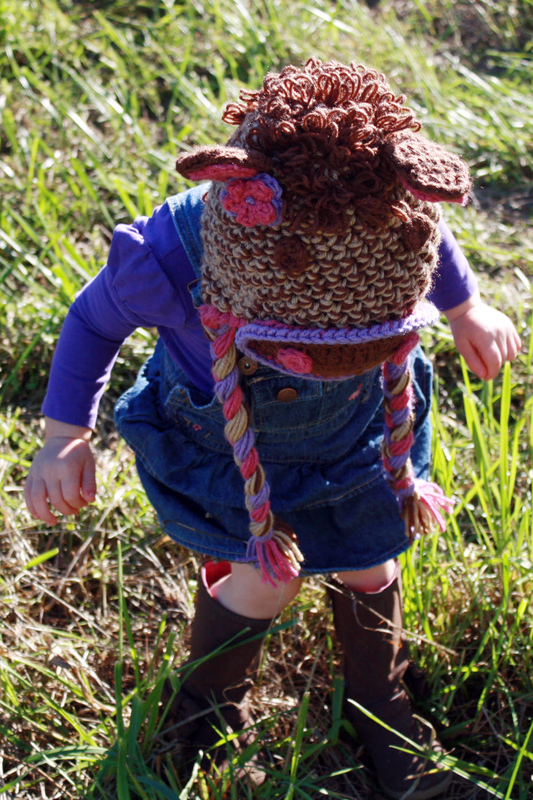 You can find the Horse Hat pattern you are looking for here on Craftsy for $2.00. I cannot figure out how to do the mane. Help needed!! For the mane you are drawing loops up with your hook, slip stitch, then cinch the slip stitch tight so it is secure, remove your hook and repeat the process in the next stitch/space. You work the mane last and are working on the surface of the hat. I hope this helps. It’s tricky to offer help when I can’t see your project, but let me know if I can offer any more assistance. Amazing hat! I really look forward to making it for my niece! I only have one problem, I do not have an 11.5 mm hook 😦 would there be any other way of making this without it? My biggest hook is 6.5 mm. Thanks for visiting The Firefly Hook! Well, you can make most of the hat with a smaller hook but the base of the hat is crocheted using two strands at the same time so even your 6.5 mm will be too small. I think having a 10 – 12 mm hook is great to have on hand for bulkier yarn (or when using two strands of worsted yarn like in this pattern) but you can also crochet a beanie in worsted weight yarn and a 5.5 mm hook and add all the horsey extras to it. Let us know if you have any more questions. What an awesome hat I love making hats for my grandchildren and I’m sure this one will be a hit. so adorable. I am going to try this. I am also looking for a hat of the same style but a fox. Any ideas where I might find a pattern?